Forty years ago Walter founded one of the premier design studios on the West Coast, and called it Silver Birches. Applying his genius for design and his talent for sales, he grew the avant garde studio into an internationally acclaimed event production and design firm. Early on, his artistic pursuits culminated in a Master’s degree in painting and drawing from Otis Art Institute. Now, by combining his creativity with his business acumen, Walter translates the most challenging client objectives into the most fulfilling client experiences. Tanya brings her fifteen year history of event sales, hospitality and corporate branding to the SB team. Her superb organizational skills combined with an innate ability to fulfill virtually any client expectation have afforded her the opportunity to work all over the globe, including premier positions in Dubai, Canada, Bermuda and Australia. Liza transitioned from the interior design world to SB world over eighteen years and has never looked back. She uses her formidable design, production and budget management skills to literally transform the most ordinary space plans into the most exciting, dimensional, and interactive environments. As the head of legal and financial affairs, Mark ensures that SB is not only legal, but solvent. He has been with the company for thirty-five years; and when he is not crunching numbers, he also functions as our in-house producer for corporate entertainment packages and business presentations. A vital member of the team for over seven years, Chris has a degree in architecture and is also an accredited LEED BD+C. With our own in house architect on board, we have been able to utilize his talents to bring his unique visual and design perspective when developing innovative ideas and dynamic content for our clients. A recent Dean’s list graduate in Business and Marketing from USC, Melia utilizes her keen intellect and passion for events to make sure all our “T’s” are crossed and “I’s are dotted in every production. Administration and Accounting guru, Jenny has been with SB for over twenty years and is the organizational glue that holds the team together. Her longstanding experience at SB provides the consistency and historical reference that is crucial for us to be able to react coolly and efficiently in the constantly changing, fast paced world of events. 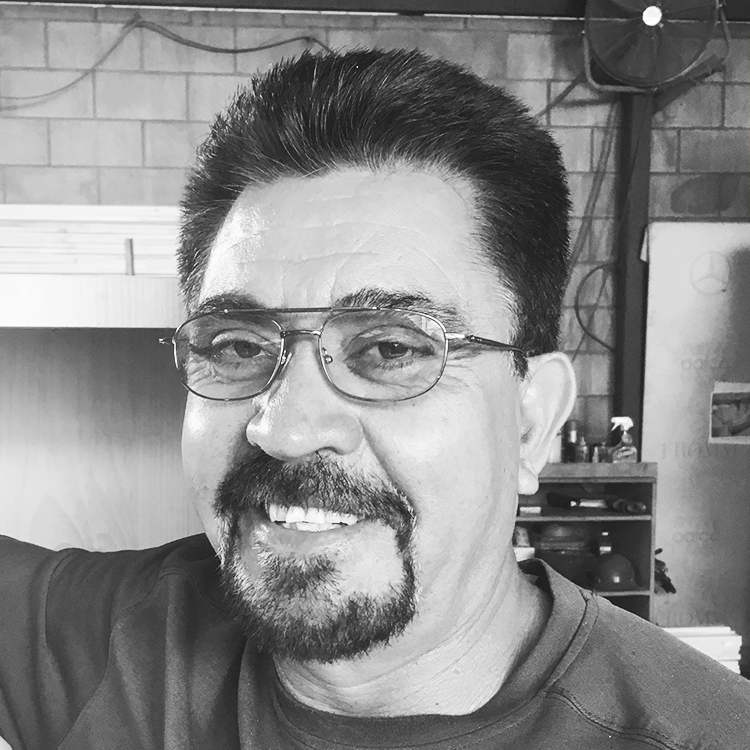 Eduardo has been the principal overseer for the construction of our sets, buildouts, furnishings, and three dimensional design elements. His thirty years of experience in building events literally from the ground up ensure that every element of our productions from welding to painting to finish carpentry and upholstery all maintain the highest level of quality.